Set an generous amount of shaving cream on a flat oven tray. 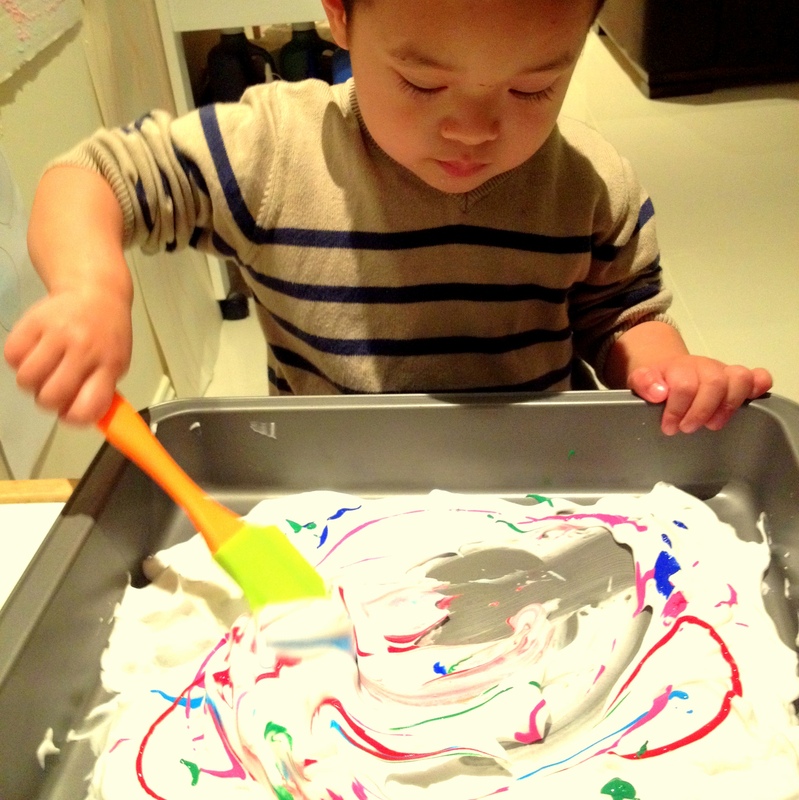 Drop different colours of paint, and whisk or mix with a spatula. Use child-safe water based paint. Let them feel the textures by hands or other mediums. Let them observe mixing of colours. 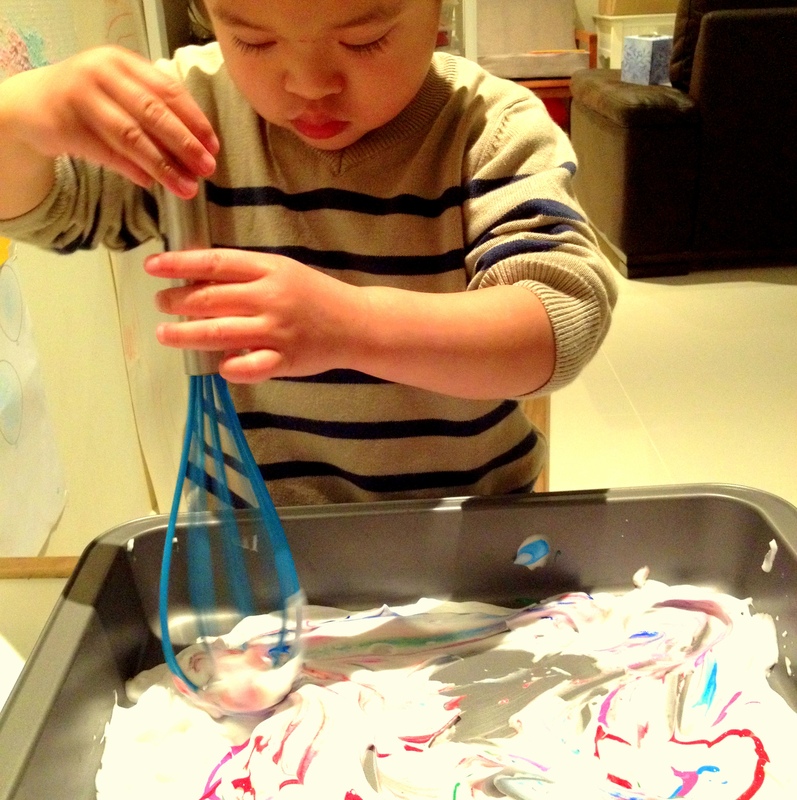 Introduce other kitchen utensils such as sieve, ladle, wooden spoon, etc. to experiment with. I would recommend this activity for children between 2-6 years old who no longer have the tendency of putting things in their mouths. 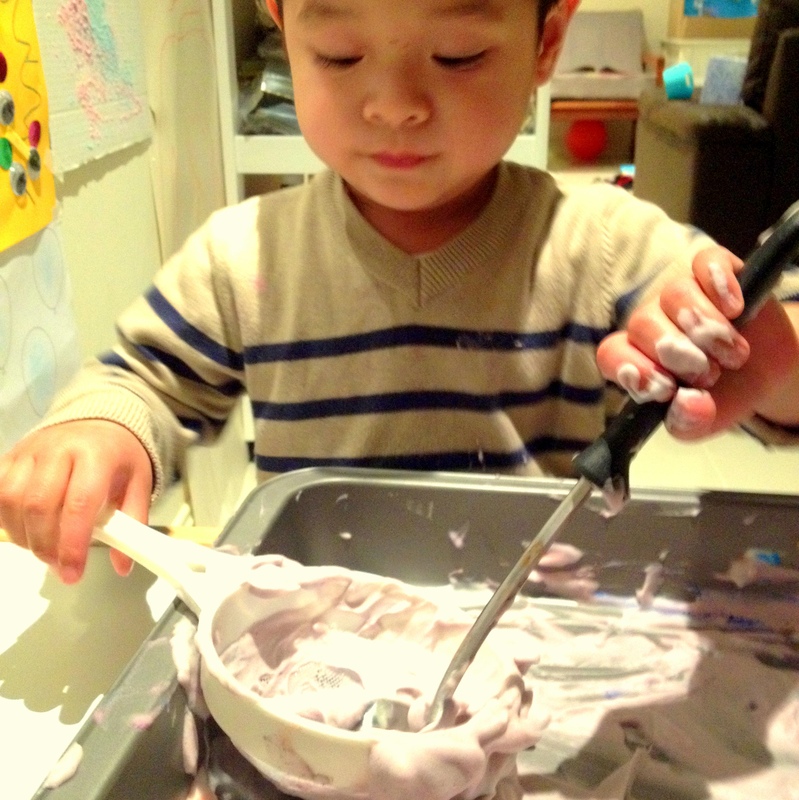 This activity is an invitation for open ended play, letting the children using their imagination as well as creativity. Alex was so amazed when he saw the colour mixed gradually. 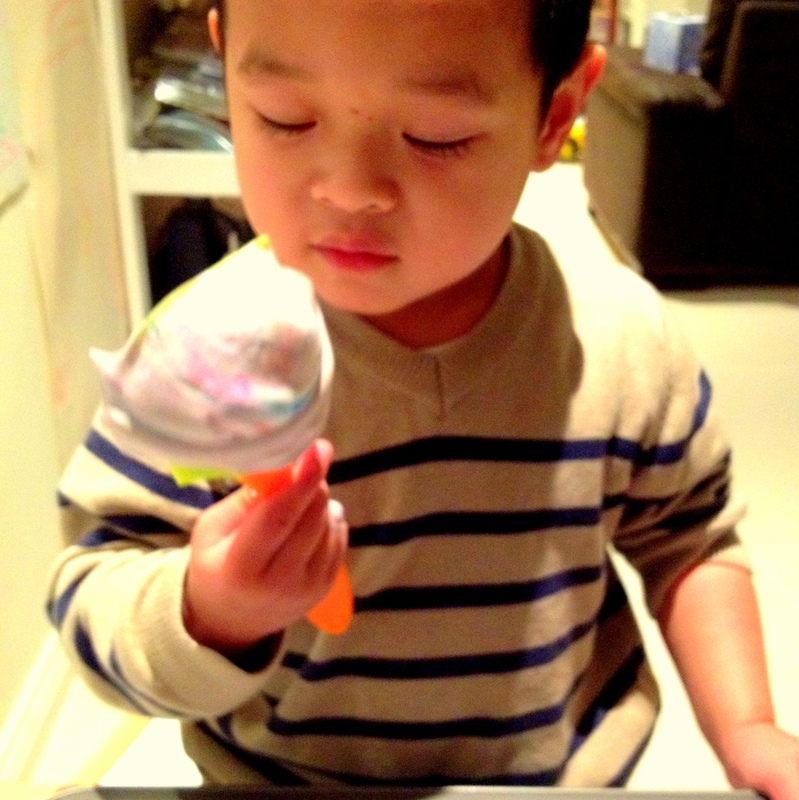 Make pretend ice cream using the spatula. Encourage them to use their sense of smell to notice the scent of the shaving foam. As you introduce other kitchen utensils, describe their names to add to their vocabulary. This activity could also help them foster their concentration skills and ability to focus for long period of time. Posted in Sensory PlayTagged imagination, sensoryBookmark the permalink.